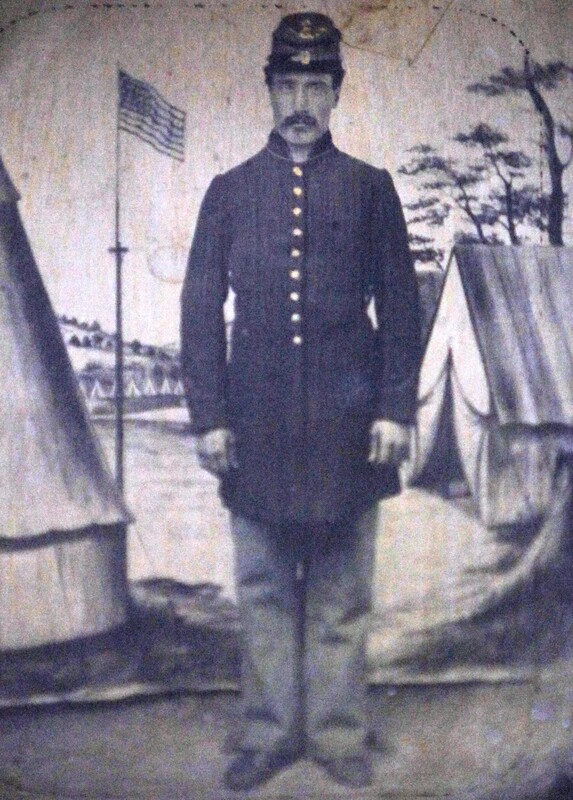 Rank and Organization: Private, Co. A, 118th New York Infantry. Place and date: Chaffins Farm, VA, 30 Sep 1864. 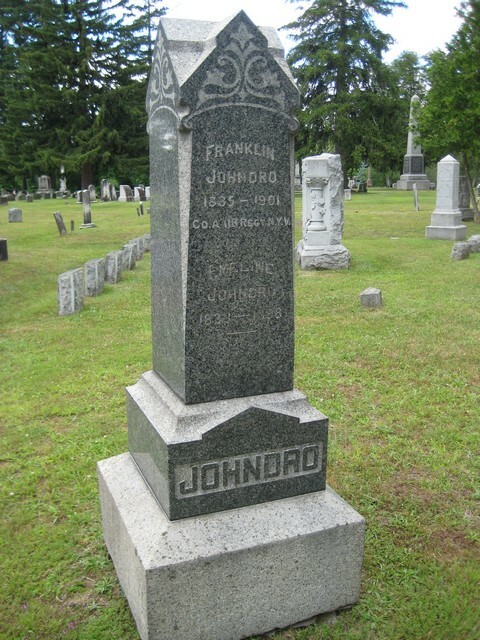 Died: 5 April 1901, North Bay City, Mich. 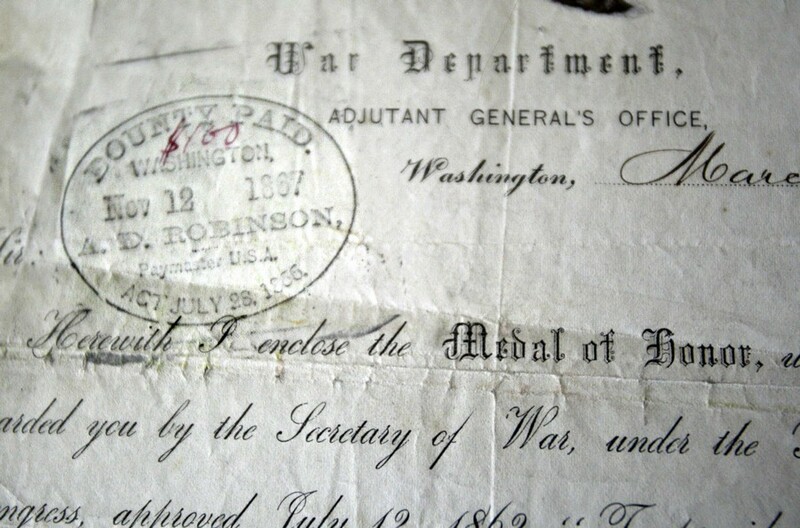 Date of Issue: 6 Apr 1865. 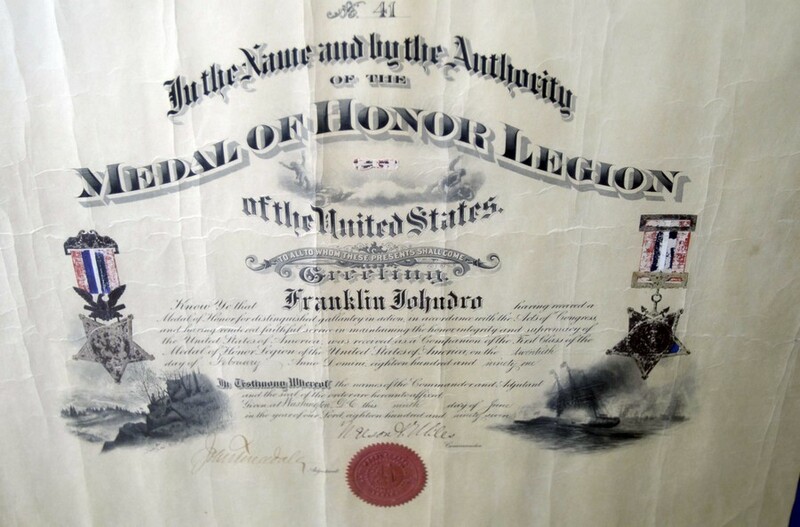 Items from the collection of Bill Doan, South Milwaukee, Wisconsin, 2nd Great Grandson of Franklin Johndro. themselves in battle during the present rebellion. Please Acknowledge the receipt of it. 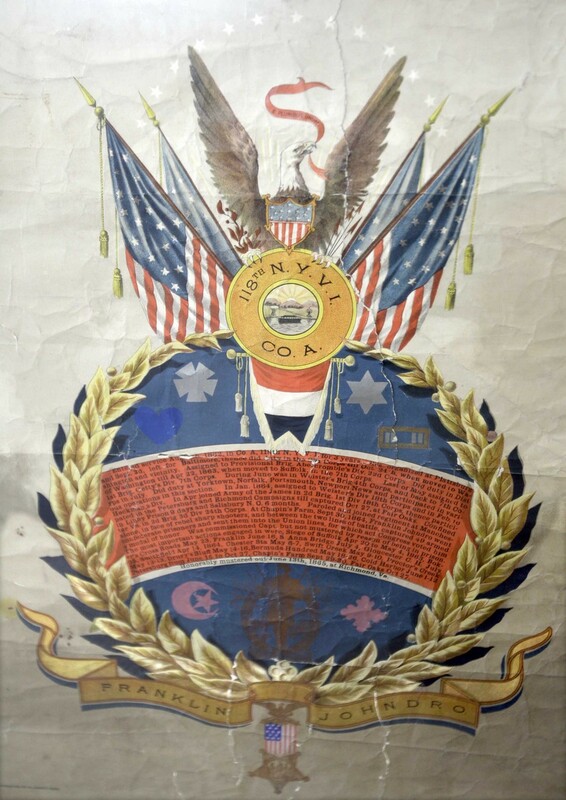 Co. A, 118th New York Vols. From Beyer and Keydel, 440. 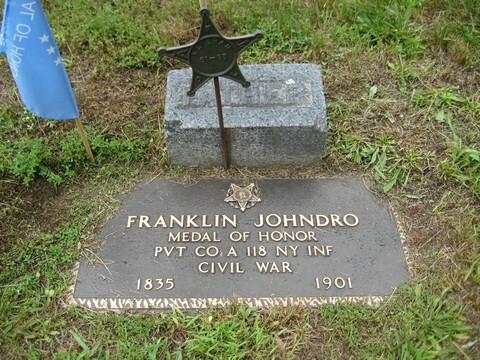 "Another interesting incident at the battle of Chapin's Farm, Va., September, 30, 1864, was Private Franklin Johndro's gathering in of forty rebels. The battle had raged for some time. 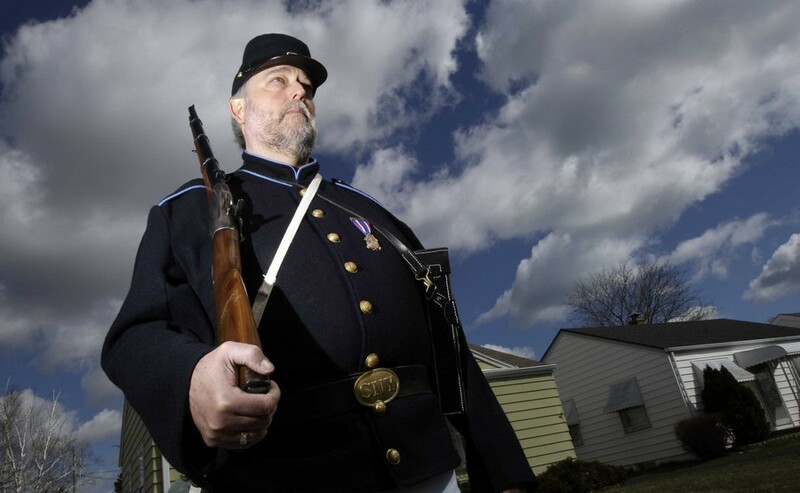 The second charge of Longstreet's Army had been repulsed by the Union forces and the Confederates were falling back. The One hundred and eighteenth New York Volunteers held a position about twenty rods from the foot of a slight hill, which was occupied by the enemy. Every charge thus far made had been immediately repulsed by this regiment countercharging as soon as the enemy appeared in force on the hill This manoeuvre checked every assault at the foot of the hill. Many of the rebels found temporary protection there, but could not retreat. The captain of Company A saw quite a number of these unfortunates. He pointed out to Private Johndro the danger these fellows were putting his men in, and then induced this brave soldier to at once fix his bayonet and charge all alone on these skulkers. 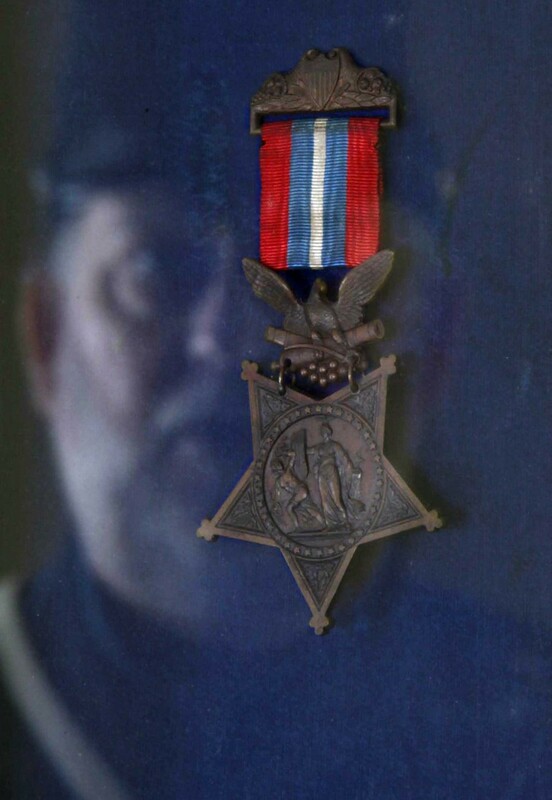 A heavy fire was concentrated upon him by the enemy's sharpshooters, but he succeeded in driving in no less than forty rebels as his prisoners. 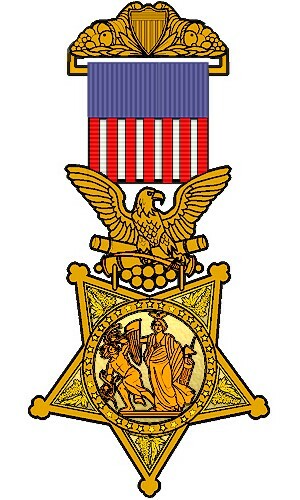 A few months later when the Medal of Honor was pinned to his breast for this deed, his colonel remarked: 'Johndro, if I owned this Medal of Honor and had won it in the way you did, I should think more of it than I do of the eagles that I carry on my shoulders.'"